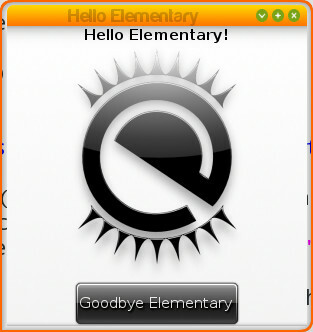 When I first started preparing Bodhi ISO images almost two and a half years ago I set out with the goal of providing a clutter free operating system powered by the latest Enlightenment desktop. We call what we do "minimalist" meaning it doesn't come with a whole lot by default. This ideology isn't for everyone, though. Thankfully, the power of choice is something that greatly empowers free software development. Today, I would like to offer a bit more choice for Bodhi users. 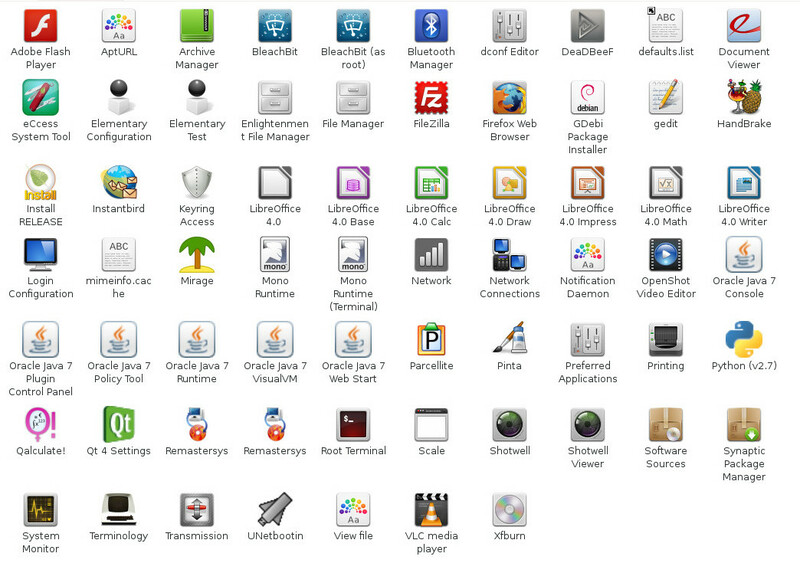 I would like to share with you all my "friends and family" version of Bodhi Linux. You can grab the ISO image for this fat stack of Bodhi on source forge here. I call it my "friends and family" disc because when I am pressed for time I can't always sit down and install all the extra software "normal" people need to use their PC. 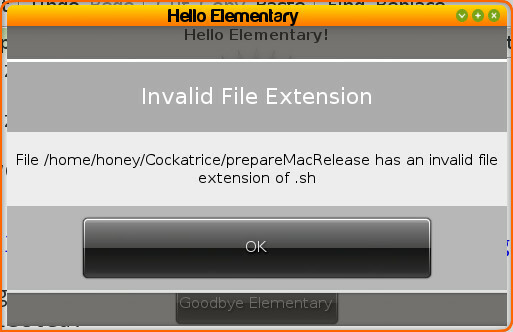 This image allows me to skip the installing software step after I install the operating system. This is a 32bit disc image and no I will not be preparing a similar 64bit disc. I intend this disc for home systems, for which I recommend 32bit operating systems. Users installing from this disc can get support on the Bodhi Forums just as if they had installed from the normal disc. With Steam officially being released for Linux I took some time out this evening to run a few benchmarks on my Ubuntu 12.04 based Bodhi system to see how a few of the different modern Linux desktops compare in terms of OpenGL performance with the source engine. Please do not take my numbers to be anything super scientific or precise. I simply recorded a short demo using Team Fortress 2, loaded TF2 from Steam under each of the Linux desktops with no other background applications running and ran the demo through a built in source engine bench marking tool. The benchmarks were run on my very modest gaming laptop which sports an i7 processor, 6GB of RAM, and an nVidia 330m GT graphics card. I utilized the Steam recommended nVidia 310 driver for these tests. 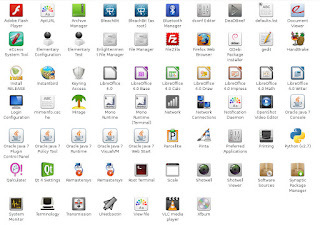 All the desktop setups I used were "stock" from the Ubuntu 12.04 repos, minus E17 which is using the E17.1 snapshot and Bodhi's laptop profile with compositing enabled. Lets get right to the data shall we? You all love charts I hope! 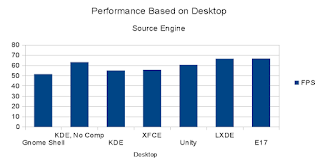 I was not surprised when I saw E17 and LXDE had the best performance, they are after all some of the best light desktops today. What did shock me though was that XFCE - which claims to be fairly light - was very low in terms of performance! 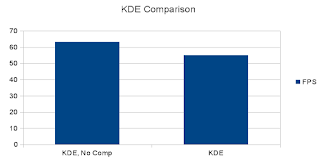 Obviously someone should run some further tests (I know I plan to when I get some more time), but from my initial small test it is obvious - if you are looking to game on Linux your choice of desktop very clearly matters! This is the second post in my series on developing GUI applications in Elementary using Python. 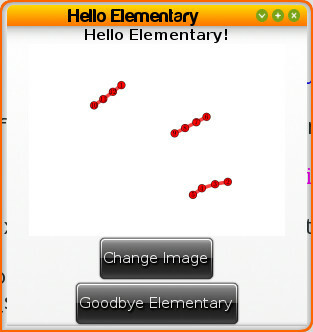 Today we are going to continue building on the Hello Elementary example I started in the first tutorial. In today's post I will only be covering the code that is different from our previous examples, so if you haven't looked that one over yet please take a moment to do so now. You can find the full source code for all of today's examples here. #Use the os module to get the current path to our .py file. 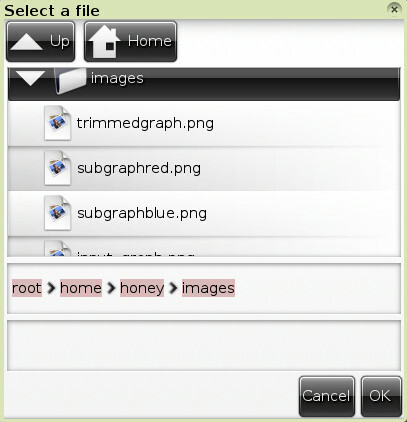 Our image is relative to our .py We do this because it is best to use the absolute file path to images for the best results. In this example we utilize the elementary Image object to display our selected .png file. #If the extension is in our validExtenions lets check the image we are displaying! Hope everyone learned something today! Have any questions feel free to drop a comment below or start a discussion on our user boards.